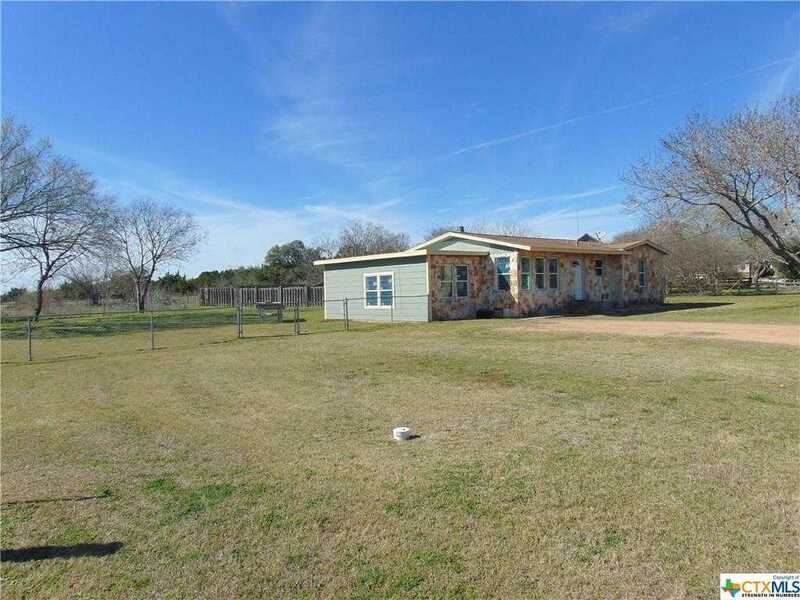 Quaint, charming home sitting on almost half an acre in highly desirable Liberty Hill. Located within minutes of 183 between Austin and Georgetown. Completely updated through out! New HVAC system, water heater, and windows. Kitchen offers an abundance of cabinet and counter space and is dressed out with new granite with a beautiful mosaic back splash, under cabinet lighting, deep stainless steel sink, and new appliances. Both bathrooms offer a custom finish with designer tile work finishes. Luxury, water proof vinyl flooring through common and wet areas. All bedrooms are spacious and accommodating. The modern and warm color scheme is accented by true coffer ceilings. The custom light fixtures are the perfect addition to the beautiful ceilings. Full size utility room, extra large lot with brand new storage building and priced to sell this beauty wont last long. Schedule your tour today. Courtesy of Keller Williams Realty – Waco. Please, send me more information on this property: MLS# 369138 – $209,900 – 110 Bryson Bend, Liberty Hill, TX 78642. I would like to schedule a showing appointment for this property: MLS# 369138 – $209,900 – 110 Bryson Bend, Liberty Hill, TX 78642.